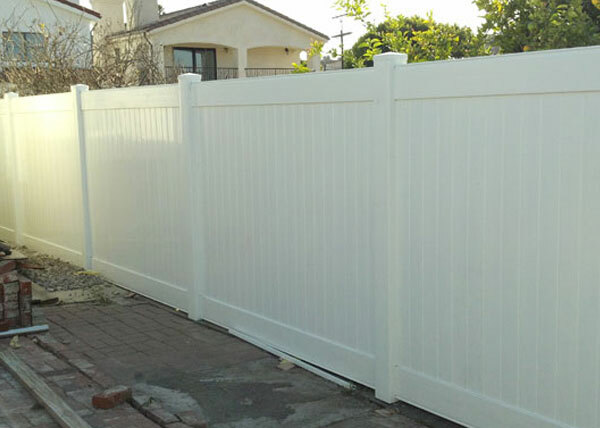 This vinyl privacy fence installation in San Pedro, CA features a 6 ft tall white privacy vinyl fence with a deluxe latch. This 6 ft tall vinyl back yard fence was installed in San Pedro, CA. 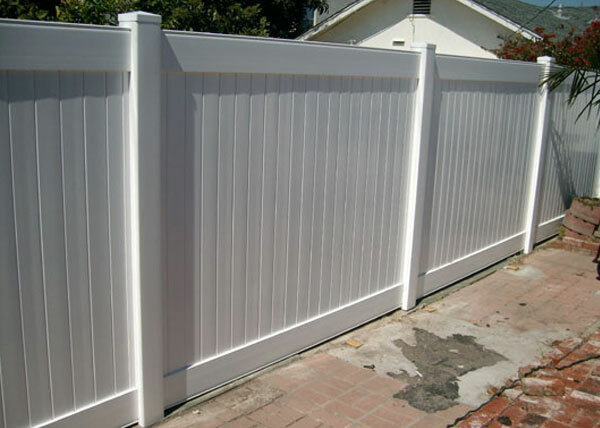 The white vinyl privacy fence features basic pyramid post caps. We recently completed a vinyl fence installation in San Pedro, CA. This vinyl fence was installed on top of a concrete slab. 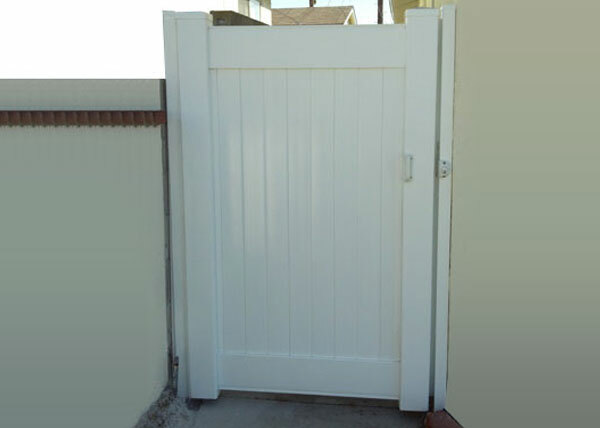 We installed this 6 ft tall privacy vinyl pedestrian gate in San Pedro, CA. 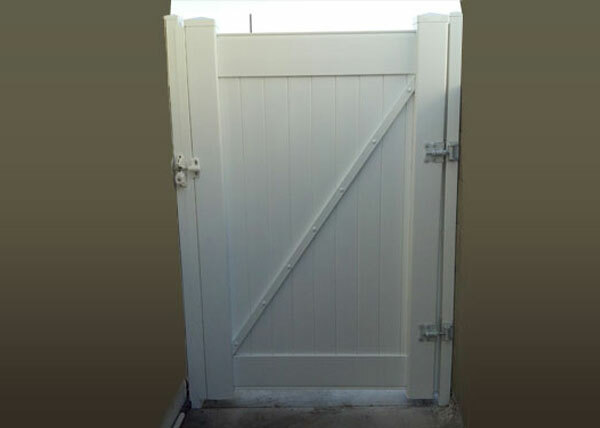 The privacy vinyl gate comes with a deluxe lock latch for added security. 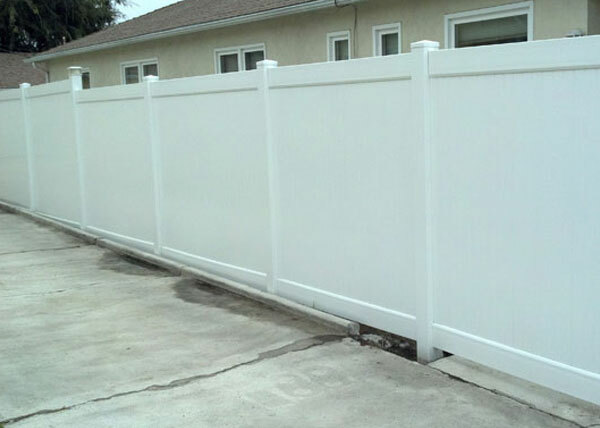 J&J Fence installed this 6ft tall white privacy vinyl fence in Torrance, CA. Vinyl fences are long-lasting and can give any residence a complete, finished look. Highly recommended. Did a great job installing My vinyl gate. The work quality was very professional . . .